When the Lytro camera Lytro Light Field Camera: Snap Happy Or Photo Gimmick? Lytro Light Field Camera: Snap Happy Or Photo Gimmick? Described by an employee as "the first major change in photography since photography was invented", the Lytro light-field camera is certainly a revolutionary device. The camera shakes things up by replacing much of the heavy... Read More , one of the most anticipated gadgets of 2012 The 8 Most Anticipated 2012 Rumors and Coming Gadgets The 8 Most Anticipated 2012 Rumors and Coming Gadgets Another year has come and gone and so we turn our attention to the flurry of rumours, upcoming products and hearsay surrounding 2012’s big releases. If you’re excited by the thought of new gaming devices,... Read More , was announced it sounded like it was either the best thing since sliced bread, or too good to be true. The camera certainly isn’t without its kinks and may even seem a bit gimmicky at times, but if you can afford it, why wouldn’t you want to own a camera that allows you refocus the image long after you’ve taken it? At $399 for the 8GB model, it’s not necessarily something that all of us can afford. That’s why we were pretty excited to find out about FocusTwist, the $1.99 iPhone app claims to be able to do what a $400 camera can do. Of course we had to download the app and see for ourselves just how good it was. When you first launch FocusTwist, you’ll find a menu with three options at the top. The first button on the left takes you to your FocusTwist library. Any photos that you take within the app will be stored here. The button in the middle is where you can see what other people who have downloaded the app are up to, although it does appear to be a curated collection. The really cool thing about how this public stream of photos works is that it’s completely interactive. Not only can you view what other users are doing, you can refocus their photos, and even post that refocused image to your Twitter profile. The last button is where all the magic happens. It opens up the camera tab where you can take photos in the app. Once you have the viewfinder open, you can take a photo, but be sure to hold your iPhone as still as possible. 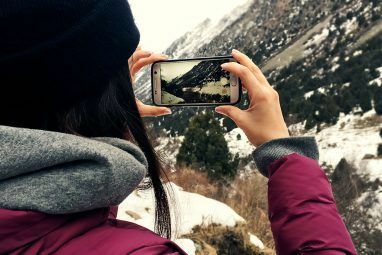 The way FocusTwist works is by taking multiple images of the same scene, but with different focal planes, so in order for them to not turn out blurred or inconsistent, you have to hold your hand pretty still, despite the app’s image stabilization. Once FocusTwist has taken the series of photos you can then refocus it to choose the depth of field and focus that you prefer. Once you’ve got the photo just the way you want it, you can then share it with other FocusTwist users, or via Twitter and Facebook. From the library you can also share to text message or email, and of course you can delete unwanted captures from the app. 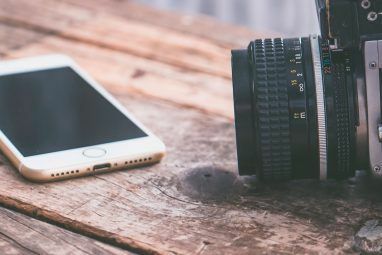 When it comes to sharing the image, no matter what method you choose, you’re actually sending or sharing a link to the image posted on FocusTwist’s website rather than simply posting a static image that can’t be refocused. This means that anyone you share the link with can refocus your image and play around with it as well as being able to share it themselves. If you want to have a go refocusing one of our photos, you can do so here. FocusTwist sounds like a miracle app, but there are of course a few caveats to be expected. For a $1.99 piece of software you can’t expect it to be flawless, and let’s not forget it depends on a smartphone camera. The method really only works with certain kinds of photos. You really have to think about how you’re framing your photo and making sure it has depth to it. A flat image will not produce interesting results because there’s simply nothing to refocus. When taking your photos with FocusTwist, think about the composition. One of the easiest ways to create an interesting photo with FocusTwist is making sure there’s a dominant element in the foreground of the photo – for best results you should be about 3 to 5 inches away from the object in the foreground, and five feet or more from the objects in the bakground. Something that really makes or breaks your FocusTwist photos will be the lighting conditions. In order to get really good FocusTwist results, try to take the photo with good natural lighting, or think about how you can light your image if you’re indoors. To see more interesting examples of FocusTwist photos, be sure to check out the app’s curated gallery. To see what others are sharing with FocusTwist on Twitter, check out the hashtag, #FocusTwist. 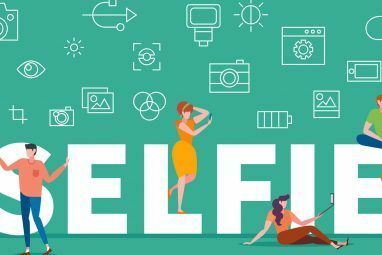 One feature that seems to be missing from FocusTwist is the ability to embed photos on your website or blog so that your visitors can get the same experience they would on your own site as they would going directly to the FocusTwist link. 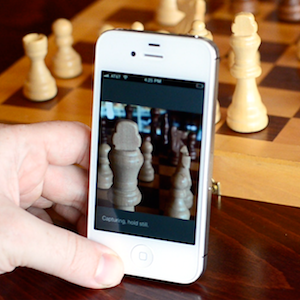 FocusTwist really impressed us, and went far beyond our expectations for a $2 iPhone app. It gets the job done, but there’s somewhat of a learning curve. Don’t get frustrated if your photos don’t turn out the way you expect them to at first. Just think about the composition and potential depth of field, and remember that this photography app (just like the Lytro camera) isn’t suited to every single type of photo you might want to take. What do you think of FocusTwist? Share your thoughts and images in the comments below this post. Explore more about: Digital Camera, iPhoneography, Smartphone Photography. How to Handle a Copyright Infringement Notice From Your ISPAre You Using the Best iPhone Email Client? I haven't seen anything on their website that indicates that it's in the works. It might be worth getting in touch with them and asking. I would have thought it would be in the FAQ as I imagine it must be something they get asked a lot. A very cool app and gets the job done easily. Not much of a learning curve for me.